The new Apple TV has better performance and a better remote, but nothing that the competition doesn't have already. 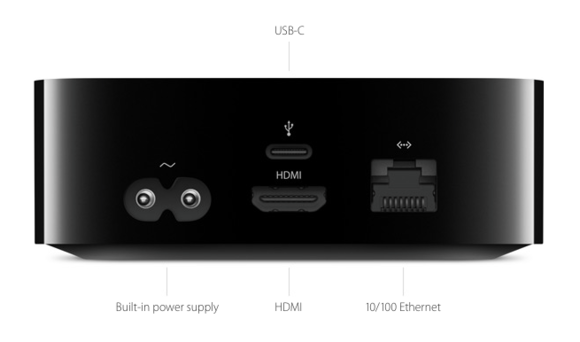 Apple finally updated its Apple TV set-top box, which had remained virtually unchanged for years, since going 1080p in 2012. The new version is faster, easier to use, and less frustrating, at least most of the time. What it isn’t is a revolution—everything Apple added already existed in its competitors. An App Store and a microphone-equipped remote for voice search are both excellent features to have, and they bring the Apple TV closer to the Amazon Fire TV and Roku. But Apple still has a ways to go. The Remote app for iOS doesn’t work with this new model, for example, so we’re back to entering passwords one letter at a time by clicking with the remote—that’s actually a step backward from where we were. You still can’t enter your cable-provider credentials in one place and see a list of all the network apps you could log into. Without categories in the App Store, you can’t even find a list of all the games. Perhaps the real revolution will come when Apple is ready to unveil its long-rumored streaming service, or even an actual television set. What we have today is a nice set-top box with some early bugs but a whole lot of potential. The new Apple TV doesn’t appear much different than the old one. I wish it still had an optical audio-out jack like its predecessor did. I used that to send audio to my circa–2001 AV receiver, which doesn’t have HDMI ports, so I could AirPlay music from a Mac or iOS device to my stereo without having the TV on. Many modern receivers do have HDMI, and other workarounds exist, so this might not bother you so much. I’m glad it still has ethernet—last year I had some issues getting the Wi-Fi only Roku Streaming Stick to connect to my home network, and having an ethernet jack is a nice fallback. The back of the device also has a USB-C port, which is there for service and diagnostic reasons, not for connecting a hard drive full of content. That leaves the Siri Remote as the the most noticeable hardware change. The new remote has a touchscreen taking up the top third—it feels smoother under your thumb than the glossy surface on the bottom third, which helps when I mistakenly pick the remote up upside-down. The Menu button goes back, and there’s a new Home button that automatically takes you to the home screen. The microphone button is what you’ll hold down to enable Siri search, to query multiple channels at once (more on that later). Play/Pause is self-explanatory, and the plus and minus buttons control your TV’s volume, thanks to HDMI-CEC (Consumer Electronics Control) and IR blasters. If your TV supports CEC, you probably won’t even have to set it up. Assuming the feature is enabled in your TV’s own settings, the Siri Remote will detect it. Then you’ll be able to use the remote to turn your TV on and off by holding the home button down and selecting Sleep to turn it off, or pressing the home button once to turn it back on and switch to the Apple TV’s input. The volume buttons should work too. If none of that works because your TV doesn’t have CEC, you can still go to Settings > Remotes and Devices > Volume Control, select Learn New Device, and follow the prompts. Since I use the Apple TV almost exclusively, this has really cut down on how much I use the TV’s own 46-button remote control. My third-gen Apple TV was the most sluggish Apple product I still used every single day. I had trouble with it all the time. Often it would refuse to connect to my network even when everything else in the house did just fine. “iTunes is currently unavailable” was a frequently seen error message, preventing me from streaming content in my collection. (Last week iTunes let me buy a season pass right on the Apple TV, but then immediately claimed to be unavailable when I asked to watch it. That was frustrating to say the least.) Fortunately, the new Apple TV performs much better. I haven’t had problems with network connectivity or iTunes outages since hooking it up. 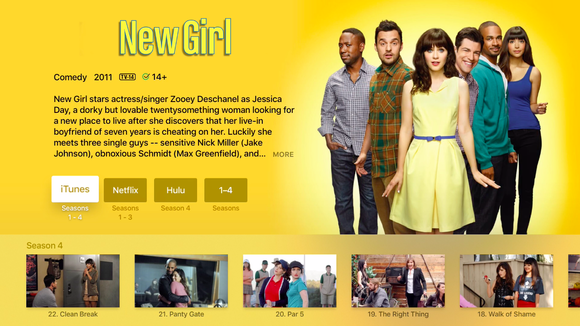 Searching for New Girl shows results in iTunes, Netflix, and Hulu. That isn’t to say it’s free from bugs. For example, when you’re watching a show or movie, you can swipe down on the trackpad for more options, like choosing an AirPlay speaker or turning on subtitles. When Hulu auto-advances from one episode to another, often the “Swipe down for more” message gets stuck on the top of my screen, and I have to quit and then restart playback to get it to go away. Navigation with the Siri Remote is fast and fluid thanks to the trackpad along the top, but the real hero is the more flexible layouts that require less drilling down into menu after menu to find something to watch. In Netflix on my old Apple TV, once I chose a profile (mine or my son’s), the first screen of options held zero things for me to actually watch; instead I had to choose from a text-only menu with items like Suggestions for You and Recently Watched, each bringing me to a separate screen of shows and movies. The Netflix app on the new Apple TV is laid out more like the iPad app: Once I’m signed in, the next page includes side-scrolling lists of shows and movies, under those headings plus more, like Popular on Netflix, and Watch Again. The interfaces for apps like Netflix, Hulu, and HBO Go are a lot easier to navigate, like they are on the iPad. Searching with Siri is a big improvement too, although it’s got a learning curve. Siri can’t understand a word my son says—he’s almost 4, so his diction leaves something to be desired—but my husband had a little trouble with it too. I demoed it for him, asking for Seinfeld and then filtering the results to “only episodes with Jerry Stiller” to get a list of episodes streaming on Hulu. Kids shows like Octonauts and Ninjago are easy to find if you pronounce them clearly, but sometimes it can take a couple of tries. The Phish documentary Bittersweet Motel wouldn’t register over voice at all—turns out, when I did a text search, that it’s not in iTunes, but the full movie is on YouTube, which isn’t supported by Siri search. The Apple TV does act as a HomeKit hub, so you can control HomeKit devices when you are out of range of Bluetooth and your home Wi-Fi. But you can’t use the Siri Remote to control HomeKit devices from a few feet away. Siri can even do a few other things, like tell you the weather or who won the World Series, but there’s a lot she can’t do: control HomeKit devices, set timers or alarms (no sleep timer), or deal with calls or messages. Siri can’t search Apple Music at launch, although Apple says that functionality is coming “early next year.” An API exists for third-party developers to add Siri search support to their own Apple TV apps, but if Apple needs two more months to make it work with Apple Music (which already supports Siri search on iOS), that makes me worry a bit that “universal” search will be limited to iTunes, HBO, Showtime, Hulu, and Netflix for a good while longer. 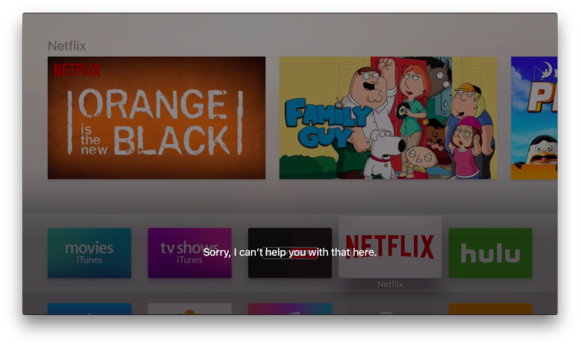 Unlike the old Apple TV, which threw every available channel at you by default, the new one comes with just iTunes movies and TV, Music, Photos, Computers (for using Home Sharing to stream your iTunes library), and Settings. Everything else you need to add via the new App Store. The App Store is great to have—it opens up new possibilities besides the video-streaming services you’d expect a set-top box to have. But the Apple TV isn’t the first box to have an integrated App Store. Amazon’s Fire TV and Roku both sport onboard app stores, and Fire TV’s even has games you can play with the remote or a Bluetooth gamepad, just like the Apple TV. 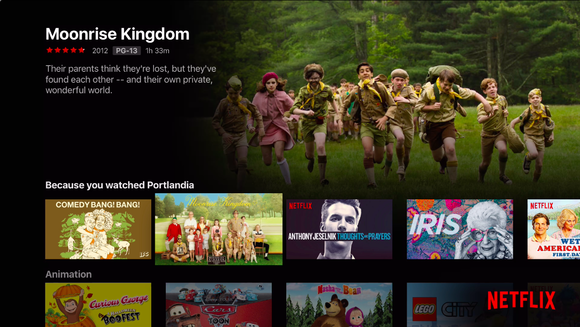 The problem with the Apple TV’s App Store is discovery. Besides browsing through the featured selections, the only way to find apps is to search, a painstaking text search, letter by letter. There’s no Siri support here, no list of categories, no top sellers list. You can’t browse or purchase Apple TV apps on your Mac or in an iOS app. Roku’s iOS app, for example, lets you browse the channel store, and both Roku and Amazon let you find and add channels via a web browser on your computer. This could all come along later via software updates, but it’s disappointing to have such a crippled App Store to begin with. 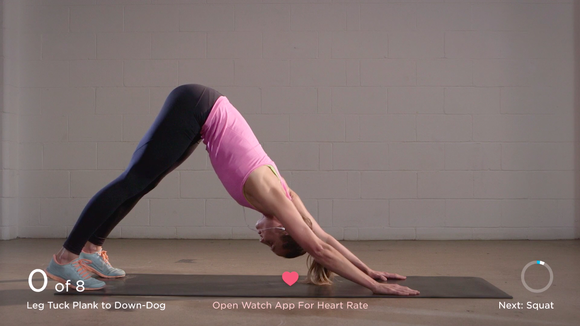 With some free workouts and a paid subscription, Zova is my new favorite fitness app for Apple TV. Still, even at launch, the app lineup has amazing potential. I tried Zova, a fitness app with free workouts (and a premium subscription offer), which also has apps for iPhone and Apple Watch. Seeing the exercises on the big TV makes them even easier to follow along with, assuming you have enough room between your TV and couch to perform moves like lunges, planks, and jumping jacks. Movile’s Play Kids is here, which combines videos, games, and fun activities like crafts to make and drawing lessons. The same subscription I bought in the iPad app carries over to the Apple TV, and parental controls let me hide any shows I don’t want my son to see. (Sorry, Caillou—you whine too much!) Unlike on the iPad, where I have to download the shows to the device, the Apple TV lets my kid stream whatever he wants, but it’s still a more controlled menu than, say, Netflix. Smule’s Sing! is a natural fit on the big screen, and you and your friends can use your iPhones as microphones to belt out some hits. 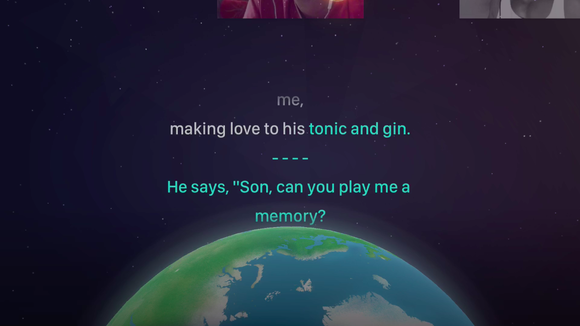 Smule’s Sing! karaoke app pairs with your iPhone, so you can croon into that device’s microphone while the words scroll by on your television. (At least, until the Apple TV screensaver comes on halfway through “Piano Man”—sigh.) 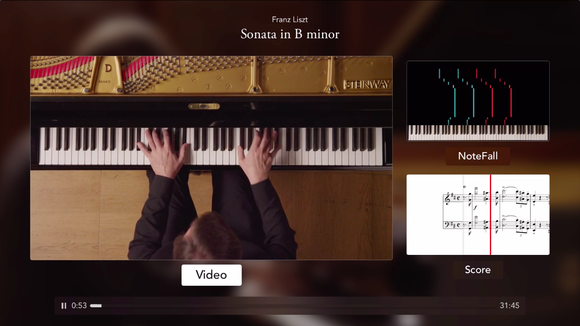 Speaking of music, Touchpress is a new way to experience classical music performances. You can see a video of a piece being performed, while also watching the score scroll by, and even the “NoteFall,” a graphic showing which keys are being played in real time. Touchpress is an absolute must for fans of classical music. The App Store will surely expand quickly, but as it grows, Apple needs to make sure we can find apps that would most interest us, in case the featured selections don’t really speak to us. Category listings and Siri search would be a big help, as well as personalized App Store homepages, like the new custom landing pages our Android-using friends enjoy in the Google Play Store. The Apple TV feels like it had painstaking attention paid to some places—the Aerial screensaver, for instance, is gorgeous, with gently moving videos of lovely places around the world, from San Francisco to New York to Hawaii. But I’d trade it in an instant for a way to type in passwords with my iPhone, an experience that was better on the old Apple TV. Your iPhone can pass off your Wi-Fi credentials, but you’ll still have to enter your Apple ID and all usernames and passwords manually, letter by letter. Hopefully that’s the first thing Apple fixes. If you’re invested in the Apple ecosystem the Apple TV is a worthy purchase: AirPlay is an extremely convenient way to mirror your Mac or iOS device’s screen to your television, and Apple TV is of course the only set-top box that can play content rented or purchased from the iTunes Store. The Apple TV may have taken big strides to catch up to its competitors, but real revolution isn’t being televised just yet. 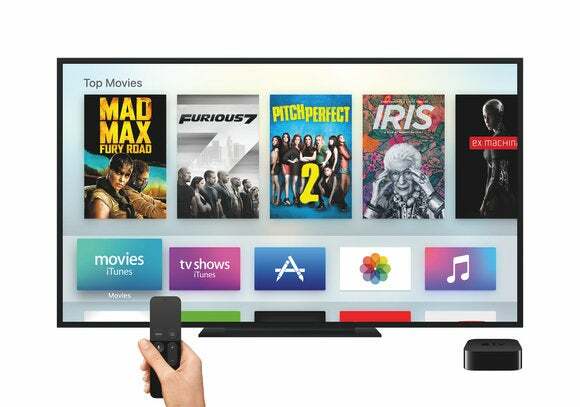 This story, "Apple TV review: Big steps forward, but not a revolution" was originally published by Macworld. It's a lot more capable than the last-generation Apple TV, but this new version still has plenty of room for improvement. 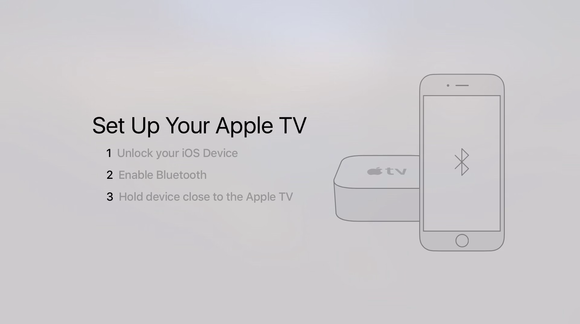 Siri Remote controls your TV's power and volume and enables voice search. Poor App Store discovery, with no browser-based or mobile versions. Doesn't support iOS Remote app or keyboards for entering passwords.